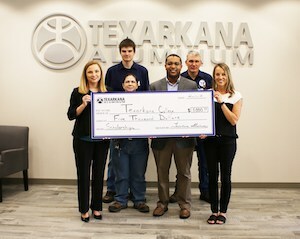 April 11, 2019- Texarkana Aluminum donated $5,000 to Texarkana College to be awarded to area high school students who are pursing workforce dual credit classes. March 25, 2019, Texarkana, TX- Texarkana College Trustees took formal action today to approve faculty contracts for the 2019-2020 academic year. TC president, Dr. Jason Smith, said TC faculty members are the number one reason students succeed and complete at record rates.